Six things your jeweler should look for in your jewelry upon inspection: worn prongs, cracks in gems, weakness in shanks, chips in your channels, broken or compromised clasps in bracelets and necklaces, or any areas that look thin or worn that look like they might break in the near future. 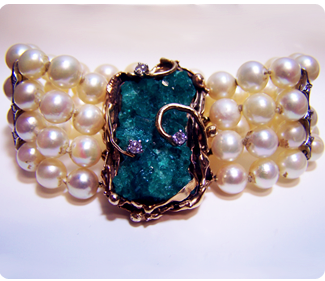 Do you have a piece of jewelry you really love, but don’t wear it because it needs a partner? Add value to the jewelry you already own by creating that missing jewelry piece to complement your unmatched favorites. A custom jewelry piece is the perfect birthday gift or anniversary gift for someone you cherish. You can say “I love you” or you can show “I love you” with a custom made piece of one-of-a-kind jewelry. Create custom jewelry to commemorate a special holiday like Mother’s Day, or a proud achievement such as graduation. 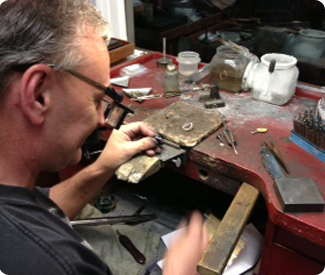 Custom jewelry is the gift that your loved ones will always cherish and hold close to their hearts.